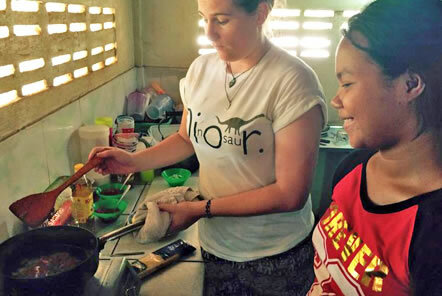 Current volunteers have been integrating their English lessons with practical skills by leading cookery lessons at the Children's Home in Cambodia. Read about their experience and find online resources for this activity below. Volunteers Charlotte, Tiss and Beth are living at the Children’s Home for 4-12 weeks, they have been working hard to create activities that combine different learning styles, incorporating both the practical and theory whilst also developing an important life skills. Charlotte has also suggested that the children try to make a recipe book that they can continue to add to over time and other volunteers can contribute too. 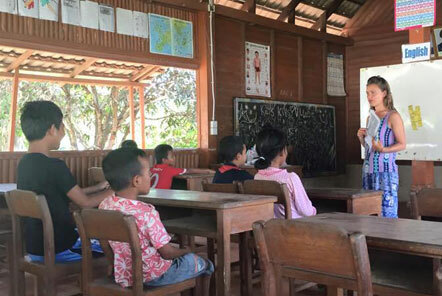 Learning English is difficult, particularly for children who don’t often have the opportunity to practice their skills and with very basic education at the village school. 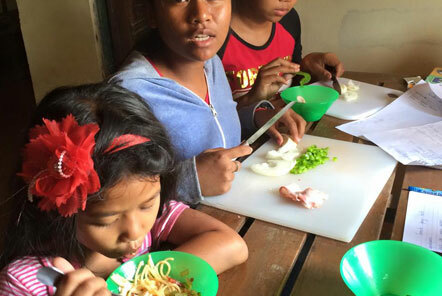 Volunteers on site not only arrange educational games and activities but also enable the children to practice their conversational English and build their confidence, a key skill for their future employment prospects and further study. 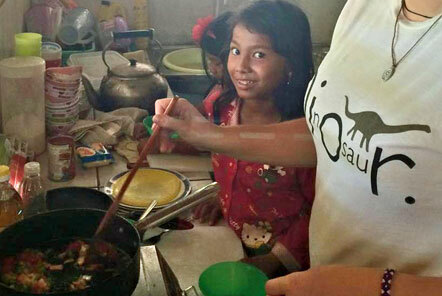 Teaching English through cookery is a wonderful idea and is hopefully something our volunteers can continue. For tips and ideas of teaching through cookery, why not check out The Travelling Teachers wonderfully helpful article or the great worksheets available on ESL Flow. Would you like to join this project? With thanks to Charlotte for sharing her experience (and wonderful photos) with us!